Standard, “off-the-shelf” filtration systems are not engineered to trap the ultra-fine particulate a laser produces during the ablation process. When a laser pulverizes dried ink or coating, it turns the unwanted material into what we refer to as “micro-dust” – so fine it looks like smoke when it’s being extracted off of the roll’s surface. Other systems on the market today use either washable or bag filter systems – these do not have the filtration properties needed to ensure all generated laser dust is captured. On top of that, washable filters, by their very nature, produce waste-water when being rinsed off – another headache. 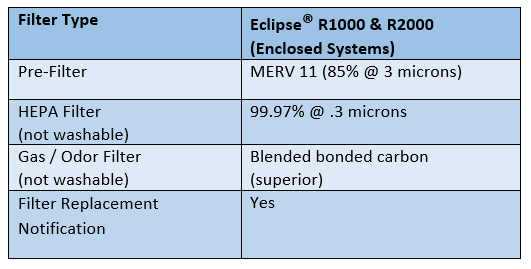 The majority of washable filters have a MERV rating of 1-4 – our prefilter has a MERV rating of 11 – the higher the MERV rating the better! Please click here for more information regarding MERV. Although bag filter systems can be more efficient than washable filters, their efficiency rating is still sub-par for laser dust applications. Please keep in mind due to the nature of this fine dust, it will “find” any openings or gaps in the overall system housing. The picture below shows a poorly engineered system housing. Note where the arrow is pointing – you can see the laser beam in action. This means not only can a passerby be exposed to this hazard, but it also means there is a gap in the housing which is so large that any dust can easily escape into a facilities atmosphere. We have one very large client who has a strict VOC policy. 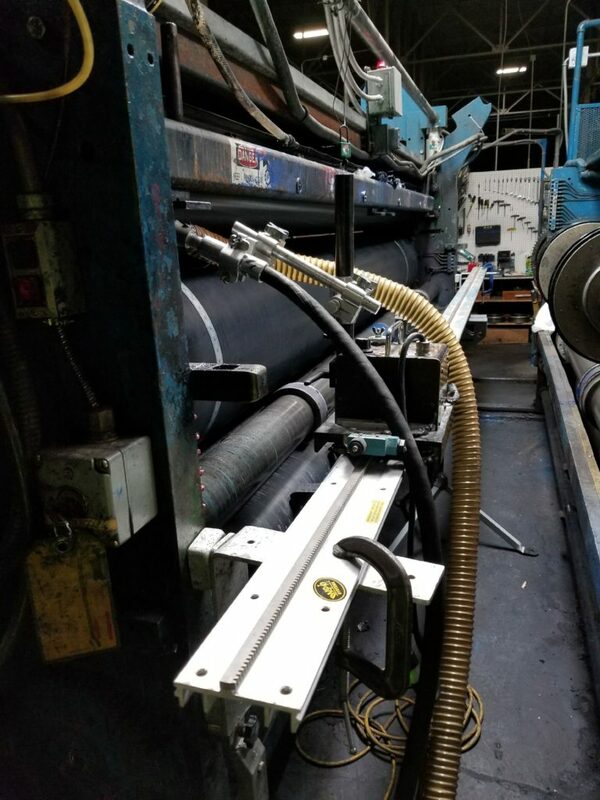 During the installation of our Eclipse® Laser Cleaning System, their EH&S crew closely monitored the laser system’s exhausted air and found no traces of any harmful air pollutants. Although they originally planned on connecting the laser system to their existing ventilation piping, they decided that step wasn’t necessary and to this day still allow the filtered air to freely exhaust into their plant.